Hossein Houssaini works as an advisor for various companies and forums in the digital advertising landscape. He joined boards like the Advisory Council of Prohaska Consulting the Advisory Board of the Programmatic Pioneers and the global board of i-com.org a community that compromise of the most extensive international group of industry leaders on the forefront of Smart Data Marketing, ranging from CMOs to top Data Scientists. Recently he departed from Havas Group where he was acting as the Global Head of Programmatic Solutions for almost four years. Here he helped to establish the global music data alliance for Havas and Universal Music Group and collaborated with international clients to transform them digitally. Hossein is the co-founder of Havas University, a global training program platform which has already certified over 15,000 participants globally with its first training curriculum "100% Programmatic". Previous to HAVAS, Hossein created IPG Mediabrands’ first Trading Desk, Cadreon, in DACH (GSA) and shortly after acted as Director Technology for all audience buying platforms (MAP), bringing programmatic to the region. 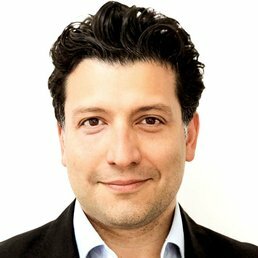 Before joining Cadreon, Hossein worked for Google re-establishing the Rich Media business for DACH & the Nordics launching projects like YouTube Masthead and developing these markets to a successful business. He was shortlisted for ExchangeWire's Ad Tech Personality of the Year in 2017 & 2018!